We are in the weeks before Christmas. For some, it means parties and shopping and better food than usual. 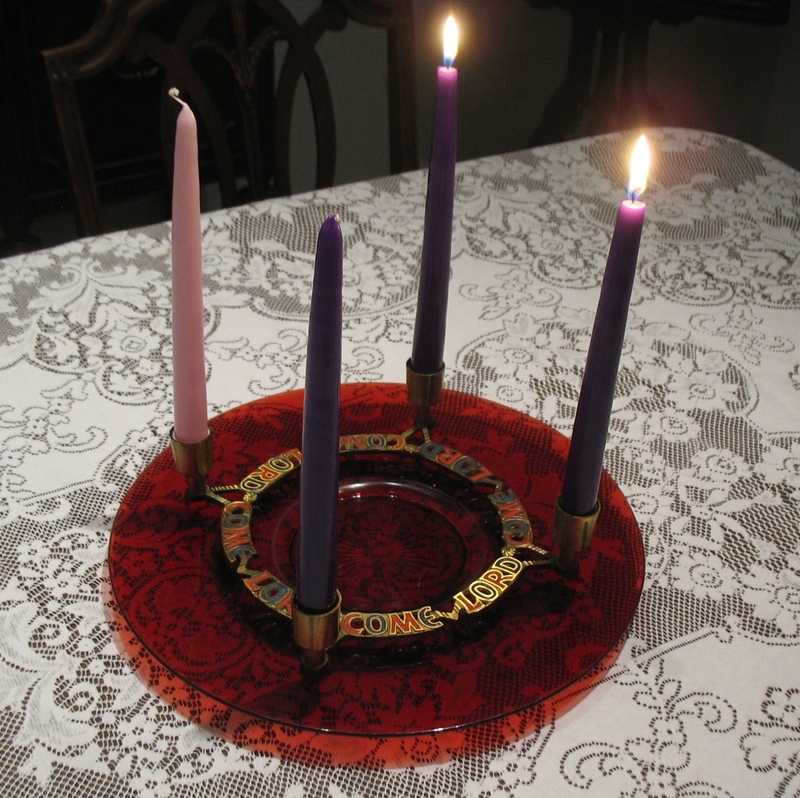 For observant Christians, today is the second Sunday of Advent. We are preparing for the arrival of God, born of Mary. We are looking forward to the celebration of a 2000- year-old miracle, the birth of a baby, born in a manger, whose arrival transformed everything, past, and future. But Christmas isn’t always an easy time for people because the world isn’t always a comfortable place. Families sometimes have their dramas. The pain, sorrows, worries and difficulties of life rarely wait for convenient times to occur. We have friends who have lost family members for whom Christmas won’t feel the same. We know people who are sad because they won’t be able to be home with their family at Christmas. We have friends who have no families, who live alone. We have friends who have to attend the murder trial of the woman whose drunken driving took their youngest son’s life. We like the days leading up to Christmas to be festive and full of happiness and decorations, good food and good friends. For some people, it isn’t like that at all. They don’t have much if any, family or the family they have is estranged, or there is just too much baggage from old hurts so that staying away seems easier than the pain of getting together. The blog I intended to write came to me a few days ago. I was going to call it Proud Mary, Macnamara’s Band, and What Child is This. Those three songs came to me all wrapped up together – all wrapped up like a lullaby. When I was a little girl, I remember how wonderful it was to fall asleep listening to my big brother Ed playing the piano downstairs. I loved listening to him play. But my memories have played a trick on me because I remember him playing John Fogerty’s Proud Mary. The only problem is that I wasn’t a little girl when that song came out. I guess I’ve transposed a happy memory of listening to him play the song, to a happy memory of listening to him play other songs that lulled me to sleep when I was much younger. Could have been a pretty neat memory if only it had been true – ah well. Middle-aged minds sometimes play tricks on you. The next two songs were definitely sung as lullabies, many years later, when relatively late in life I gave birth to my only daughter. When she was a baby girl, I used to sing her songs at bed time. I would sing her Macnamara’s Band, which I first heard sung as a jaunty lullaby by Pierce Brosnan on a Remington Steele episode. Sometimes with my little girl in my arms, I would segue from that immediately to the Christmas hymn, What Child is This. It all seemed to work at the time, and my little one would happily fall asleep or, be calmed and ready for sleep. Sometimes amid the trials and disappointments that life throws our way – we need some calming before we can get past the hurdles of the moment to be at peace. Sometimes the anticipation of settings and combinations of people cause us to worry ahead of time – when perhaps there is nothing to worry about. As I get older, I find that I have developed into a talented and skillful worrier. I never used to worry much at all. My husband reminds me that worrying adds an unnecessary layer of trouble to whatever it is that you are facing. Our pastor recently said in a sermon that “Worrying is believing that God won’t get it right.” My dear husband looked over at me and cocked an eyebrow. Hmm. When I was twenty, I took a year off from college and worked at an ecumenical institute in Switzerland. There were two buildings separated by a long road, it was out in the weeds, no lights, lined with trees. I’m a city girl, not a country girl, and not accustomed to country roads at night. You had to look for little bits of night sky up above to make sure you were heading in the right direction. I often found myself walking that road by myself late at night. I used to sing softly to give myself courage and calm. If you are apprehensive about Christmas, I encourage you to turn to some comforting music to help tame your worries, I would also urge you to take some time to reflect on the blessings in your life. Music can indeed bring calm. Reflecting on the blessings in your life helps to refocus from fear or apprehension to the many things that make your life rich. I would also encourage you to reach out to someone else, especially if you know someone who seems to be having a harder than usual time. See if a little friendship might not be of some comfort. Sometimes all of us could use a friend, and a reminder, that we aren’t alone. A reminder that the sun will come up tomorrow. That we can watch and wait just as they did 2000 years ago. There is no cause to fear. There is one who is coming at whose feet we can lay all the muck and disorder, and sorrows, and worry of our lives, and it will be made right. This entry was posted in Church, Courage, Family, Friendship and tagged Advent, Blessings, Christmas, Faith, God, Grief, Love, Memories, Music, Thoughtfulness, Trial, Waiting. Bookmark the permalink.